What is a DC Motor ? 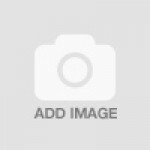 Home » Learn Robotics » What is a DC Motor ? Before moving to any complex definition you should know two types of Current and these are Alternating Current, AC and Direct Current DC. Each and every home or industrial appliances either uses DC or AC current to operate. The motor that operates on DC is Termed as a DC Motor and the one that prefers AC is termed as an AC motor. You don’t much come in contact with AC motors but DC motors are everywhere more precisely DC Motors. We should know about these motors if we are going to share a life with them. A DC Motor is an electric motor designed to be run from a direct current (DC) power source. It has been more than 100 years that Brushed DC Motors are used in industry, and domestic applications. If you already know about DC Generators then you probably know everything about the DC Motors too, both things are almost same. In DC generator, you use the mechanical work to produce electricity while Brushed DC motor is its reverse form you use electricity to do mechanical work. If you want some examples of DC Motors then you don’t have to look too far you’ll find lots of examples in your home. Look at the ceiling fan operating above you or a motor pumping the water from deep earth’s crust, make it short, look at anything rotating and it will have a DC Motor inside it. A DC Motor can have different sizes depending upon the amount of work we want from it. If you just want to build a toy car that can drive itself by just commanding it from a switch then a small motor will do the work but if you need to build an elevator of gigantic truck or industrial unit then we’ll require a monstrous motor to operate such an application. If you want to study the motor alone you have to tear the fan or the water pump to reach it or you can just buy a dc motor from any robot store at a cheap price, once you have a motor you are good to go. But if you can’t go to the store for some reasons or can’t afford to buy one then here is a simple illustration of the dc motor that will help you understand the basic concept of a dc motor. 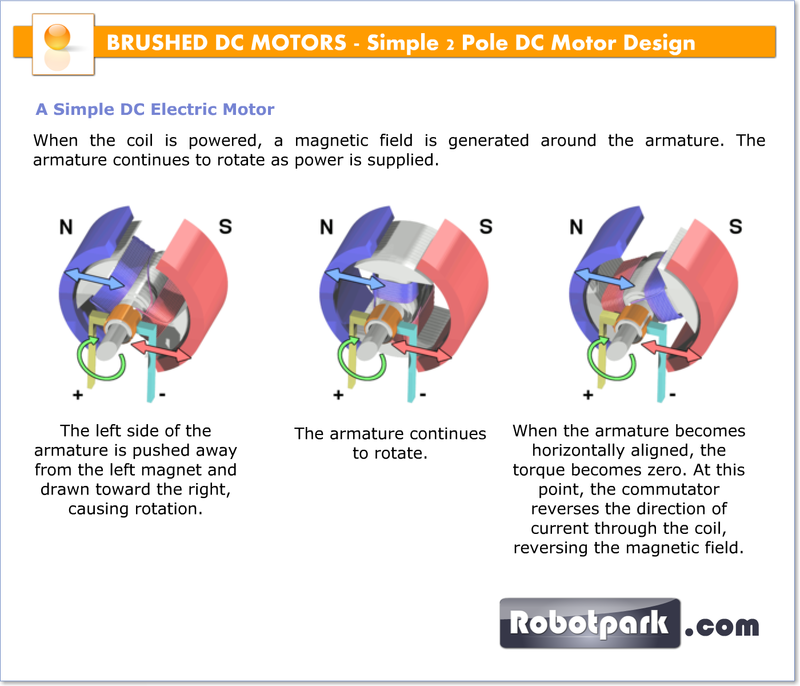 The simplest form of a Brushed DC motor is a two pole motor design. This design is the best to understand the forces and rotation. Depending on the connections of the field to the power supply, the speed and torque characteristics of a Dc Motor can be altered to provide steady speed or speed inversely proportional to the mechanical load.Since the brushes wear down and require replacement, Brushless motors using power electronic devices have displaced Brushed Dc Motors from many applications. 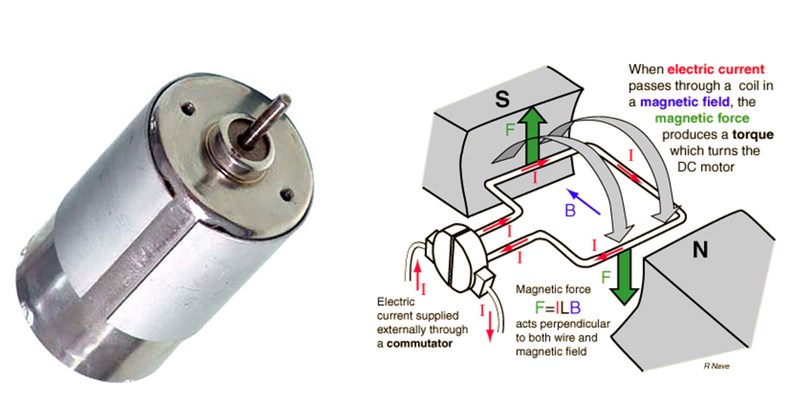 Where F represents force, B magnetic field, I current and L is for length of the conductor. As the force is a vector quantity it must have a direction too. For finding direction of this force we apply Fleming’s left hand rule. If we know the magnitude as well as direction then we can get useful work from a DC Motor. The main components of Dc Motors are Windings, Magnets, Rotors, Brushes, Stator and the source of direct current. When the armature is placed in a magnetic field generated by the magnets or field windings and the armature is rotated by using direct current it results in the generation of mechanical force according to the above statement. We can utilize this force for doing any type of particular work that we want. When the armature rotates in the magnetic field and it cuts the magnetic lines of force then an emf is induced in the system. This emf is termed as back emf as it opposes the armature current. Due to this back emf some energy is lost in the process. But a back emf is also required to make the dc motor work regularly without a back emf we can’t put load to the motor and hence getting the work done from motor becomes pretty difficult for us. If the shaft of a DC motor is turned by an external force, the motor will act like a generator and produce an Electromotive force (EMF). During normal operation, the spinning of the motor produces a voltage, known as the counter-EMF (CEMF) or back EMF, because it opposes the applied voltage on the motor. The back EMF is the reason that the motor when free-running does not appear to have the same low electrical resistance as the wire contained in its winding. This is the same EMF that is produced when the motor is used as a generator (for example when an electrical load, such as a light bulb, is placed across the terminals of the motor and the motor shaft is driven with an external torque). Therefore, the total voltage drop across a motor consists of the CEMF voltage drop, and the parasitic voltage drop resulting from the internal resistance of the armature's windings. As an unloaded DC motor spins, it generates a backwards-flowing electromotive force that resists the current being applied to the motor. The current through the motor drops as the rotational speed increases, and a free-spinning motor has very little current. It is only when a load is applied to the motor that slows the rotor that the current draw through the motor increases.